Want to turn in a better essay and increase your chances of getting a better grade? Try following some (or all) of these ten steps! 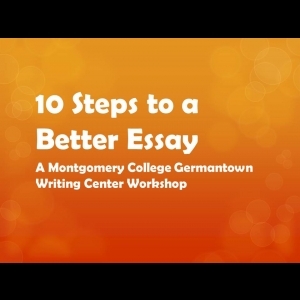 Embed "10 Steps to a Better Essay" on your page.